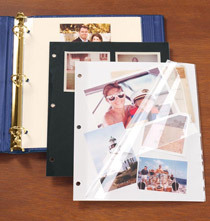 Exposures archival double weight 4 x 6 photo pocket pages are made of photo safe material which makes them the safest photo pocket pages available to protect your most precious photos. I have a bunch of photos to be included with others from other people in an album using these pages for his high school graduation. Have used these refill pages in the past. They are the best way to keep photos. I'm doing albums for each of my three kids. Some photos are 4x6. I wanted some pages that were all horizontal and some that were all vertical to mix in with thiese. These are the only photo pages I will use. 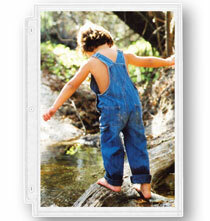 They are very durable and their quality is unmatched by other vendors. I have plenty of photos in this format. The sleeves are very high quality. Have used them endless times. I often have vertical and horizontal pictures so this does the trick. I ran out and have been keeping photo albums for Christmas and Halloween since 2005. The pages are heavy weight and easy to use. 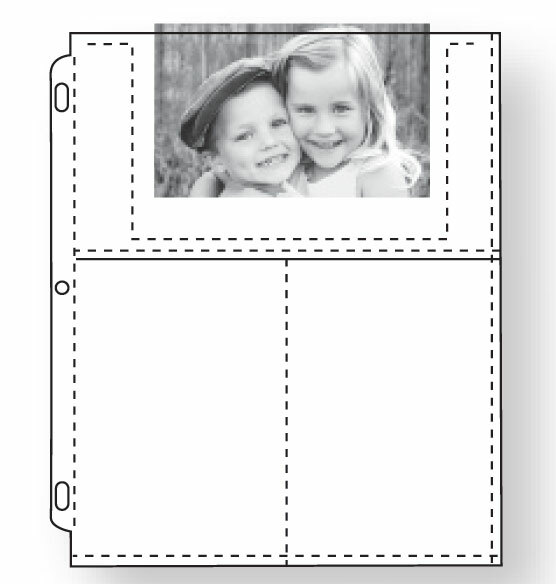 Most of the photos I keep in photo albums are the 4x6 size. 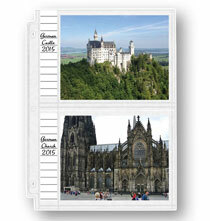 These double weight pocket pages are of very good quality. they are great at holding photos! Need to add photos to existing albums. I have been using these for years and they provide solid protection for photos. They go nicely with the library leather album and all my pictures I do standard 4x6 size. I always need more of these pocket pages. i print this size photos the most. Best holders for our pictures. Need to get heavy duty they stay much better, especially with alot of people look at them!! 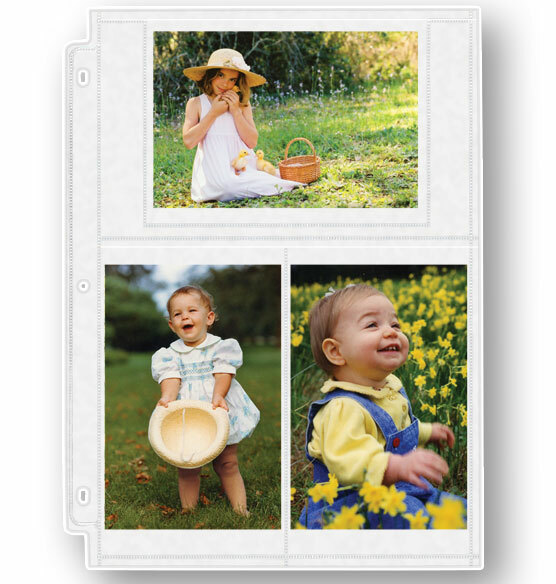 I purchased the Double Weight 4x6 photo Pocket Pages because of the quality. I prefer a heavier weighted page. They work perfectly in the albums I purchased from Exposures! I have been using these albums for 20 years . I have 21 albums , all labeled and perfect on the shelf ! These pages are wonderful. I can easily remove my photos and change them around on each page. And, I know each photo is perfectly protected. Have used before and am happy with the quality. I have been using these pages along with the Felicity Photo Albums for over 10 years. I love them! Overall size of pages. How big are the pages? BEST ANSWER: Thank you for your question. The overall size of the page is 9 1/4" x 11 1/4". We hope this information will be of help to you. They are 8 1/2 by 11.
does this go with the felicity album? I use those pocket pages in my felicity albums all the time. They work well. Yes, it does. It is the album I ALWAYS buy...love it...and these are perfect for it. ENJOY! I am looking to use these pages for 4x6 postcards, so that both sides are visible (3 cards per page, not 6)- are the pages completely clear? BEST ANSWER: Thank you for your question. These pages are completely clear on both sides. We hope this information will be of help to you. I am trying to compare across web sites. what is the weight of the material? e.g. 5 mil? BEST ANSWER: Thank you for your question. 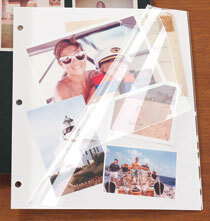 All our double weight pages are 4 mil polypropylene. We hope this information will be of help to you.